National bestselling authors William W. Johnstone and J.A. 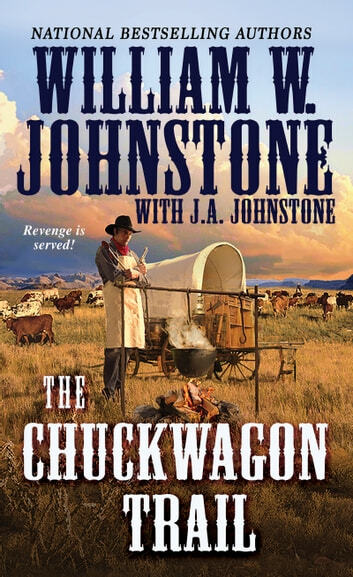 Johnstone spin a breakneck tale about a heroic chuckwagon cook who knows just what to do when cowboys get hungry—for revenge . . . Framed for murder, Dewey “Mac” McKenzie is running for his life. 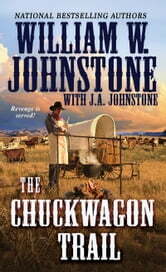 Though Mac’s never even made a pot of coffee, he talks his way onto a cattle drive heading west—as a chuckwagon cook. Turns out he has a natural talent for turning salt pork and dried beans into culinary gold. He’s as good with a pot and pan as he is with a gun—which comes in handy on a dangerous trail drive beset with rustlers, hostile Indians, ornery weather, and deadly stampedes. Mac can hold his own with any cowboy twice his age. At least until the real showdown begins. . . . Trail hand, Deke Northrup, is one mean spit in the eye. Before long, he’s made enemies of all his men. When Mac learns that Northrup is planning to double-cross the herd’s owner, he stands up to the trail boss and his henchman. He might be outgunned and outnumbered, but Mac’s ready to serve up some blazing frontier justice—with a healthy helping of vengeance. . . . Excellent book, start to finish. Not a dull moment. I wanted to read book 2 right away, but It’s only pre order for now.